The next meeting of the YAS will be on Saturday October 29th at 2 pm at Th’YARC on Prade Street in Yarmouth. 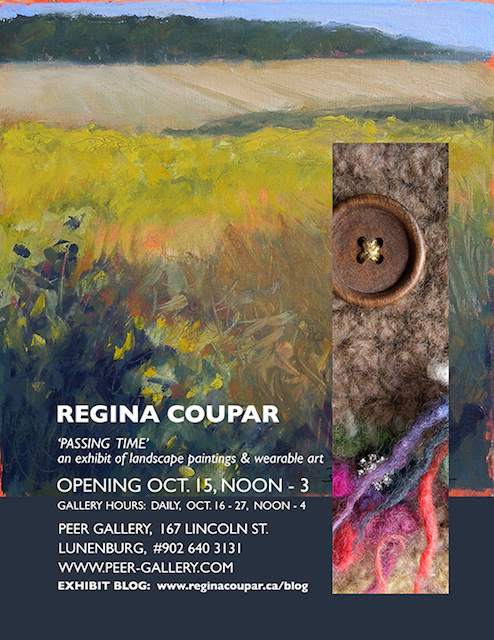 After the meeting Anne LeBlanc will give a presentation about how she lives with and experiences art. So plan in some time, so you can stay and listen to what she has to say about this interesting subject. This year we will have a Lucky Choice again. 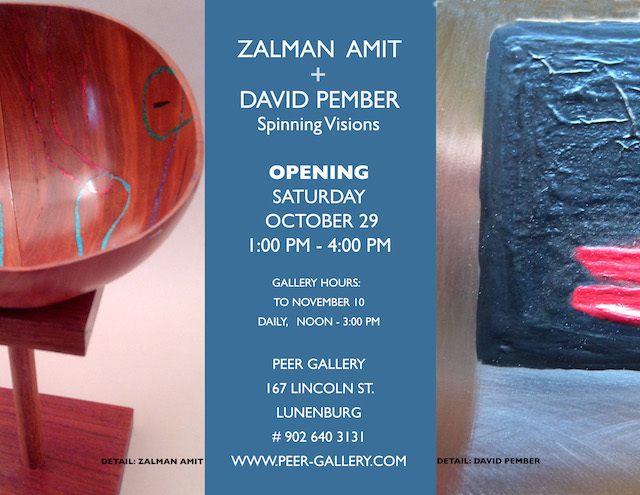 On November 15th we will hang the works . 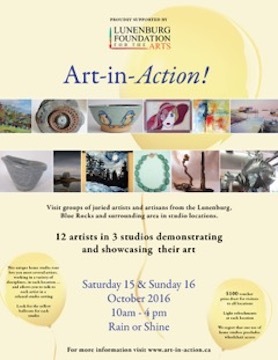 If you have artwork for the Lucky Choice bring it in to the Print Room at th’YARC before November 15th. The drawing will be later in the month. The artwork should have a value of 70$ max. Paintings should be unframed, prints matted. Size 15″ x 15″ max. If you bring in 2 artworks, you get one free ticket. Tickets will be sold for 30$. Th’YARC wants to set up a program with art lessons for children, age 8 to 14. The lessons should be preverably on Saturday and in the art studio of Th’YARC. Sandy asked the YAS to set up some lessons. So we are looking for artists who are interested in giving one or a serie of up to 4 art lessons for children. The lessons will probably start in spring, but if it is one session, fall is a possibility too. Th’YARC pays the costs and the artists fee. For the children it is free. Purpose is to give every child a chance to experience art. These are the minutes of the September meeting. They have not been through the approval process. Minutes of June 18 , 2016 read and approved. Treasurers Report deferred to October 29 2016. Hospital Hullabaloo was held September 17 2016.Thanks to Carol Rogers for donation of art work to raffle.$218.00 raised from raffle one half to artist. Total of $452.00 raised for Hospital Ladies Auxillary from raffle and art table. 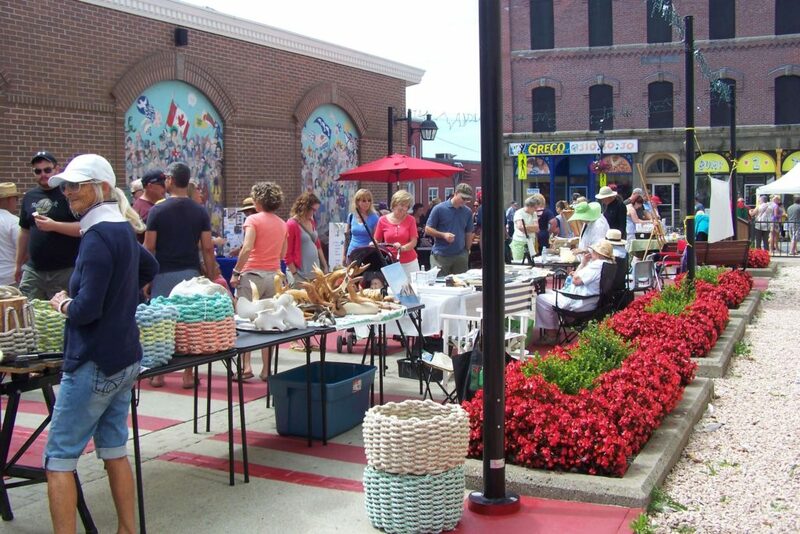 YAS members participated in SWITCH at Alma Square in June and August.Another SWITCH event will be held September 25th with space available for members at Alma Square.New YAS brochures will be available there. Discussion re upcoming Lucky Choice event. 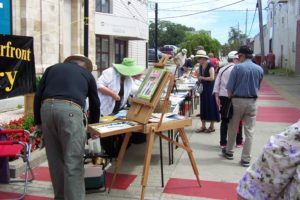 Art work – not bigger than 15 inches; unframed ; prints mounted; value $60-70 ; original work ; tickets $30.00 ; if artists brings in 2 art works they get a free lottery ticket.Margriet will check with Sandy about night available ; possibly first Saturday in December, announcement at later date. Joanne Park has a little cafe and gallery on Main Street where she would like to hang artists work. Ivan Blades will discuss details with her and Margriet will send out that info in a e-mail to members. The YARC has received a grant for Art for Children.Looking for artists interested in teaching lessons.Margriet will obtain more details from Sandy and send email looking for expressions of interest. The Printshop artists are already working with YARC on this. The Write Away Group joint show with YAS will have to be held in the fall 2017 because the museum is not available in the summer.This year the Write Away group will write in response to the artwork. Ideas for a theme will have to be decided at later date. YAS will be looking into a spring show for members in the lobby of the YARC in 2017.Members will be notified if this is a possibility. Discussion re providing programming post meeting ; looking at engaging people more. Should we have more social events, should we ask people outside the membership to present,we would not want to conflict with the AGNS Creative Mind sessions. 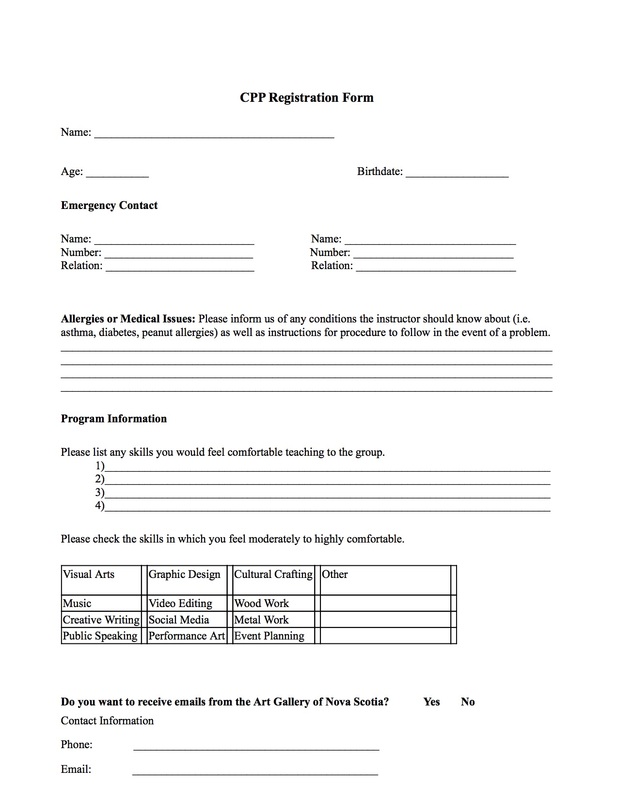 If you are interested in becoming a participant in the Community Profile Project you may print and send in the form below. This Sunday, September 25th, there is another Switch event in Yarmouth. We will have tables at Alma Square and can work on the spot and sell our art. We participated already two times and both days were great. Let’s make another good event this time and come to Alma Square with your art. Set up is at 11:00. 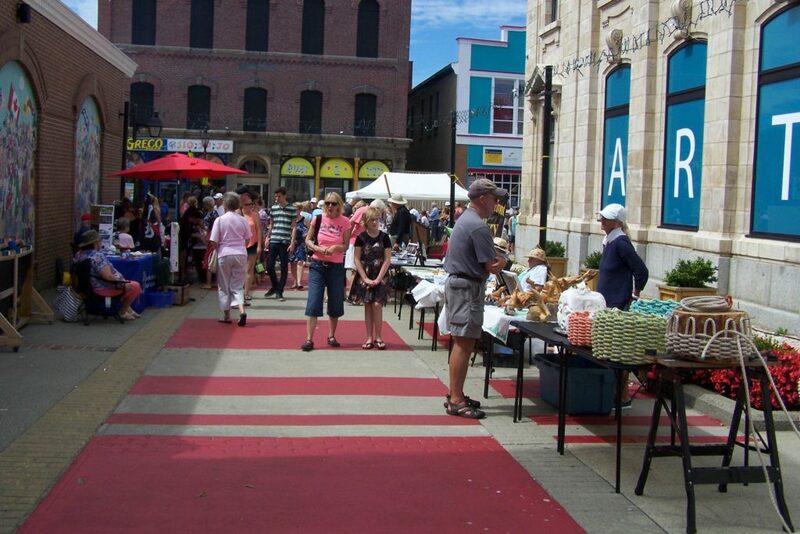 The next SWITCH event in Yarmouth is coming up on September 25th from 11:00 – 4:00 along Main Street. Join the YAS and other artists in Alma Square. Bring your stuff and do some plein air. Bring work tp show or sell. Here are some photos from the August 28th event.